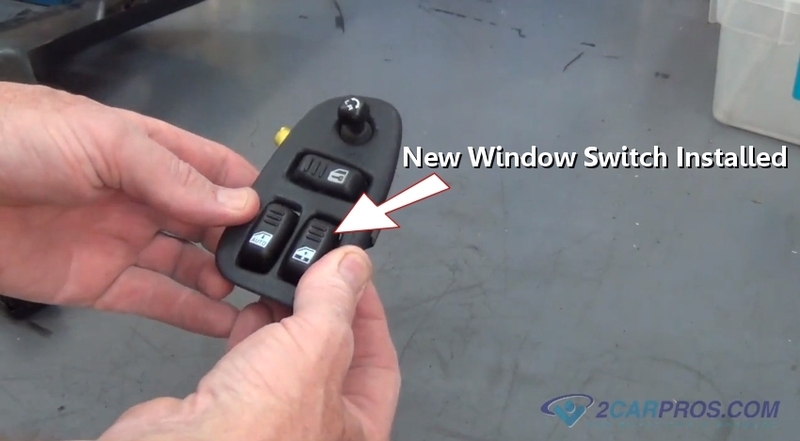 Easy step by step repair guide on how to test and replace an automotive window switch, though appearances may vary the process is similar for most vehicles. Begin with the vehicle on level ground, in park, with the engine off. 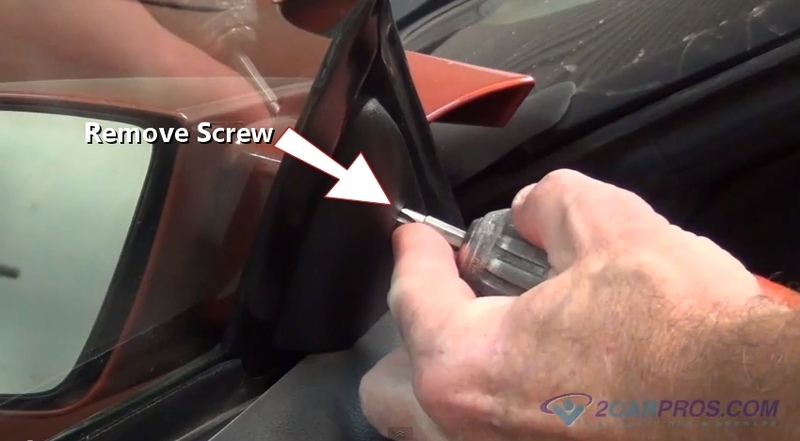 Step 1 - Using a screwdriver remove any plastic covers or bezels. Visit - Complete guide on door panel removal. 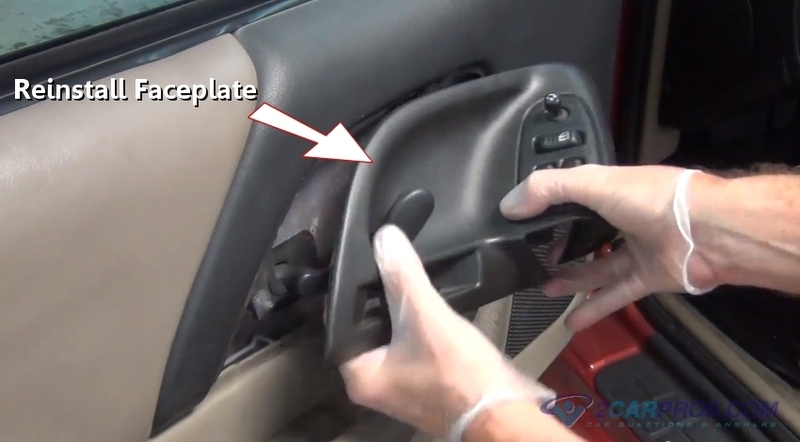 Step 2 - After the plastic covers have been removed, locate and remove all panel mounting screws or clips. 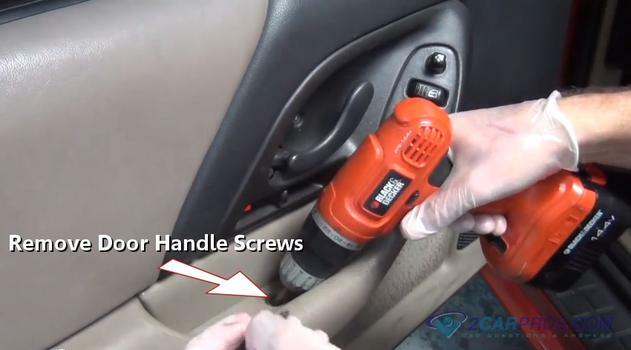 Step 3 - Once all panel mounting screws are removed, locate and remove door handle mounting screws. Step 4 - Undo and disconnect lock knobs or slides to allow removal. 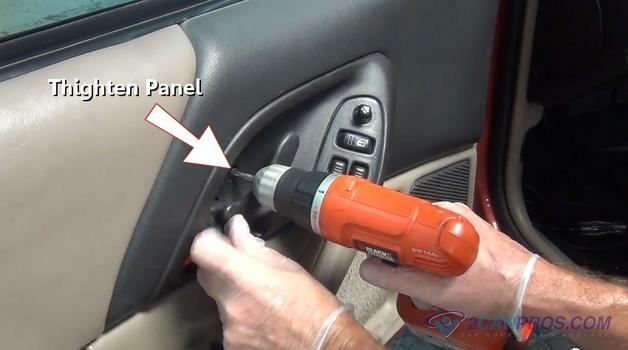 Step 5 - Inspect the outer perimeter of the panel for push clips and use a wedge tool or screw driver to dislodge and remove, then lift the panel from the door fame. 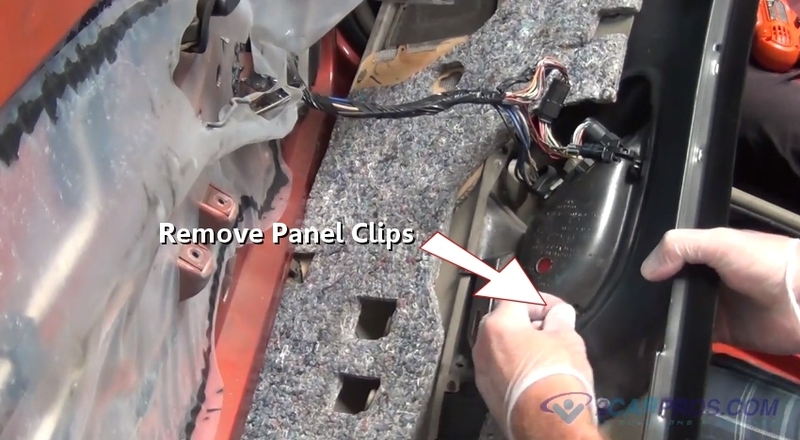 Step 6 - After the panel is removed, release the panel mounting clips which will cause the switch panel to come free. 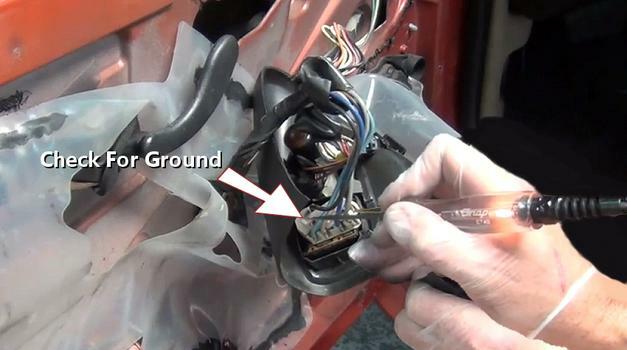 Step 7 - With the ignition key on and using a grounded test light, probe the switch terminals, one of them should have power. 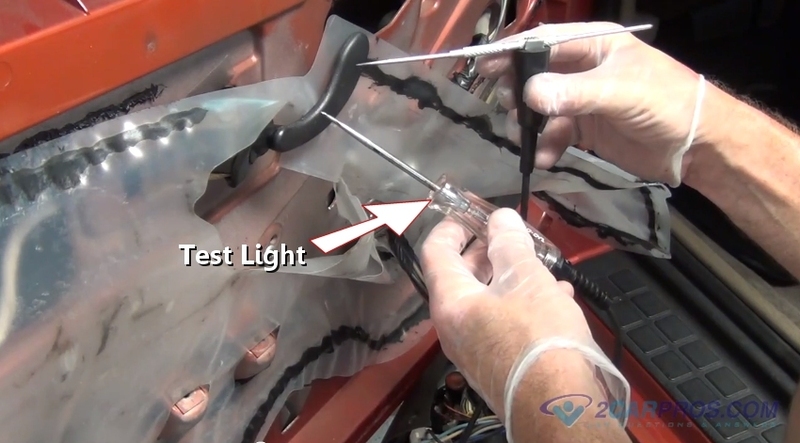 This test shows the system is powered up and a fuse or relay is not the problem (test light on). 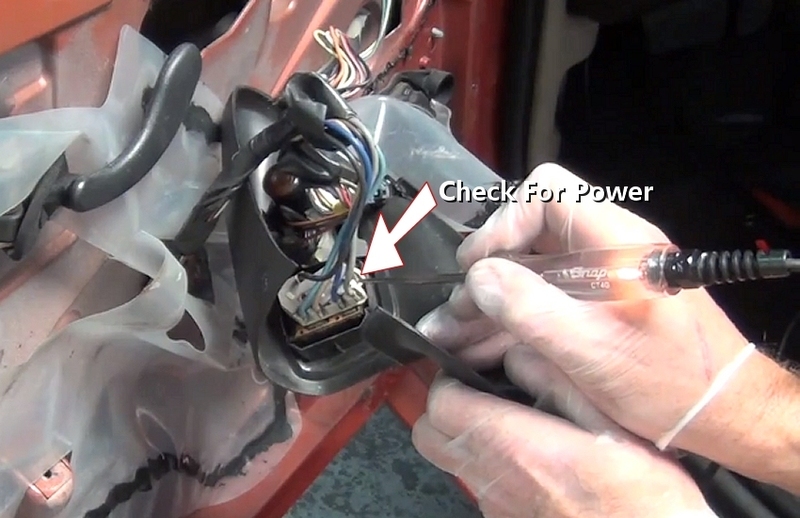 If power is not found, check the fuses and relays in the PDC (power distribution center). Step 8 - Then, connect the test light lead to power with an extender wire to the positive battery terminal and test the remaining terminals for ground, this wire is usually black or brown. 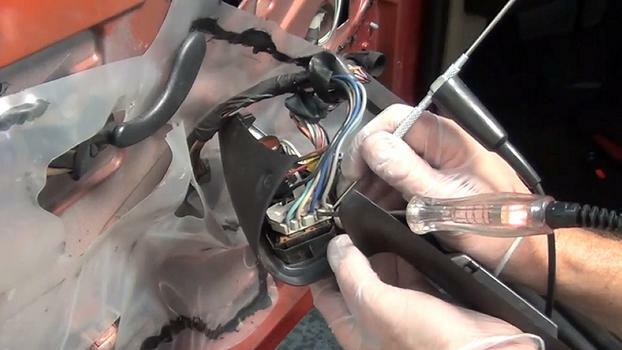 One should light up, if not inspect the wiring and harness for damage. Using a wiring schematic, trace the ground circuit and repair. Step 9 - Next, insert a sharp metal object such as this scribe into the ground clip of the test light, this will be used to test switch circuitry. 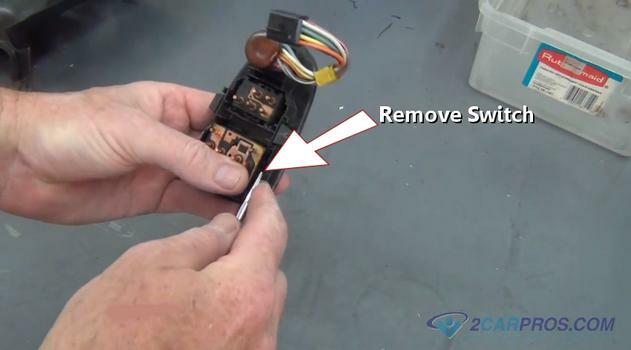 Step 10 - Using the circuit tester, insert both probe ends into the switch activation terminals. Working the switch back and forth the test light should illuminate in both directions, which determines if the internal switch connections are working. (Note: Do not allow the probes to touch together during test.) If no illumination is detected in one or both directions the switch has failed. 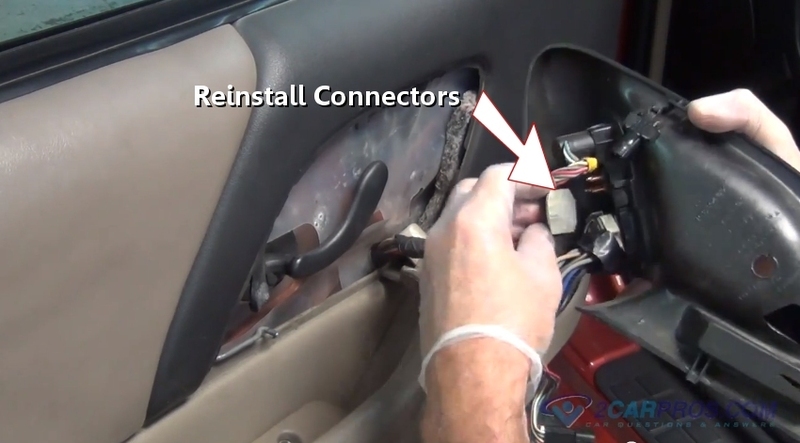 Step 12 - Remove any additional wiring connectors attached to the window switch panel. 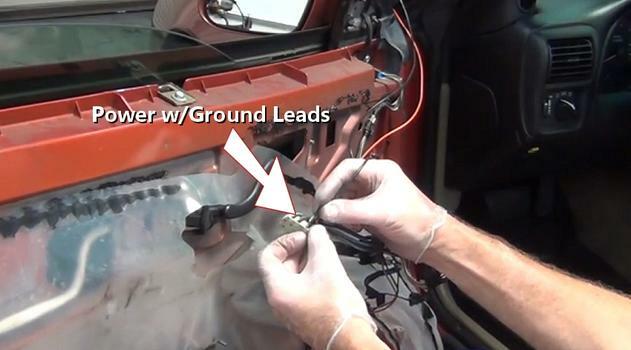 Step 13 - To test the window motor, run power and ground wire leads from a power source and ground. 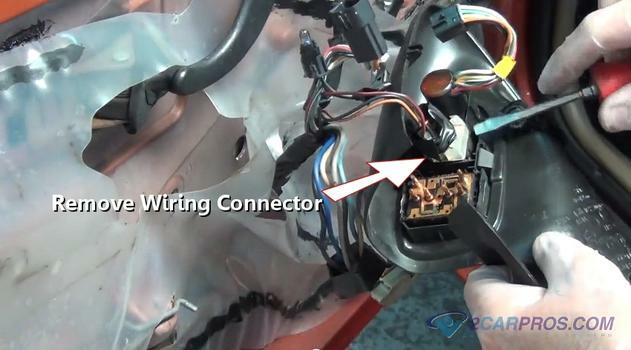 Then attach them to the connector terminals in each polarity, this will operate the motor in each direction, (up and down.) If the motor does not respond it has failed and needs replacement. Step 14 - Remove the window switch bezel by releasing the mounting clips which hold the bezel in place. Step 15 - Once the bezel has been removed, use a small screw driver to release the mounting clips allowing the switch to be separated from the bezel (Some switches the bezel is included with the new switch). 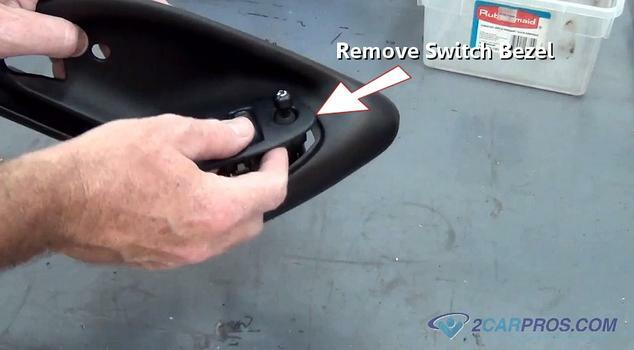 Step 16 - After the mounting clips have been removed the switch will become free from the bezel. 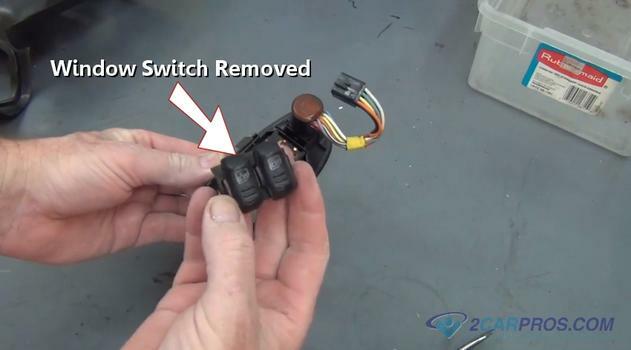 Step 17 - Remove the replacement switch from the packaging and compare it to the failed switch. 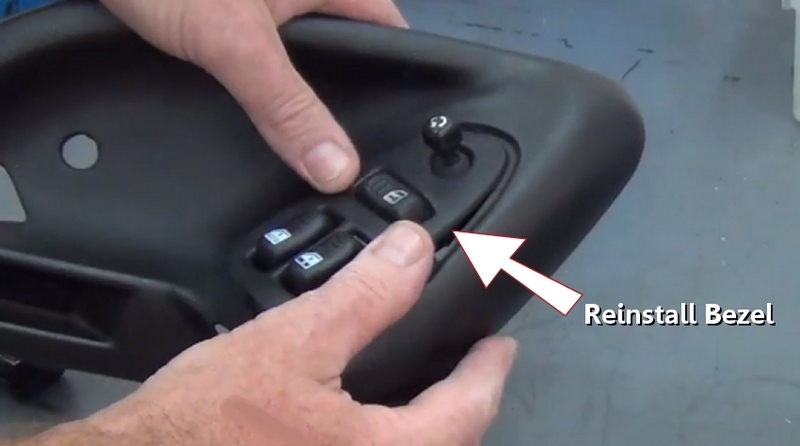 Step 18 - Also, compare switch terminals. Step 20 - After the new switch has been installed, reinsert the bezel plate into the plastic cover plate. 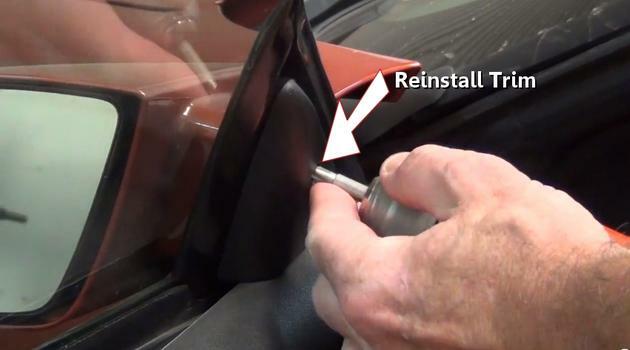 Step 21 - While feeding the window wiring though the access hole in the door panel, reinstall the door panel by fitting the top into place while pulling downward. 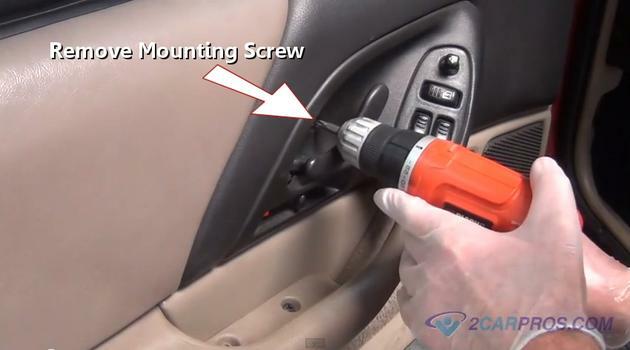 Then gently tap the panel into place while engaging mounting fasteners. 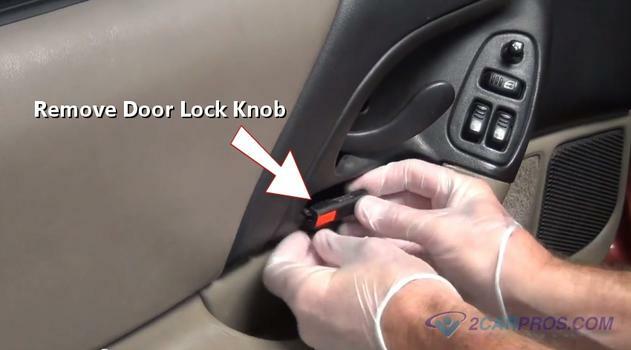 Step 22 - After the door panel has been installed, refasten the electrical connectors to the back of the switches. Step 23 - Once all wiring connectors are in place, re-install the faceplate into position. 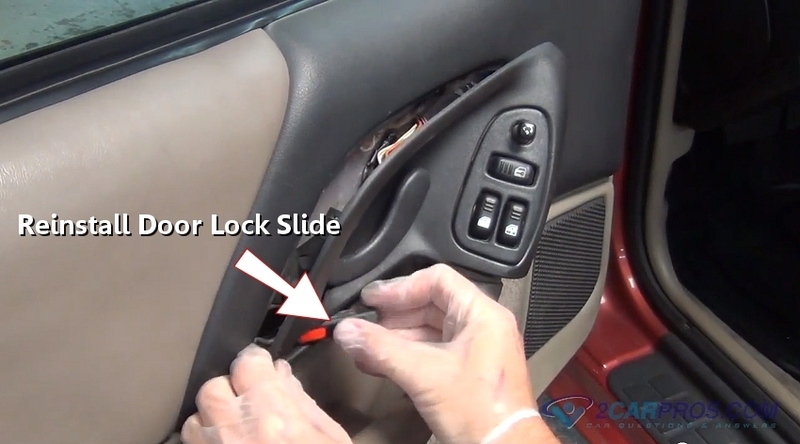 Step 24 - Return all locking hardware including knobs and slides. Step 25 - Reinstall the switch mounting plate, reinstall mounting screws and tighten, also re-install door handle mounting screws. Step 26 - After the door panel mounting clips and screws are in place, reinstall trim pieces. 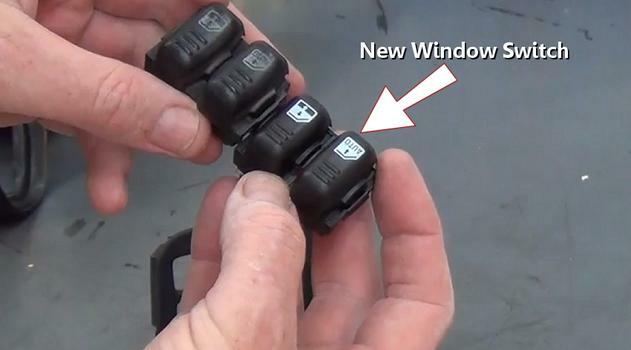 After the repair is complete, test the job by activating the window and checking the operation of the window. Electric window systems are common technology which is universal throughout the automotive industry. These systems work from a simple polarity change to activate an electric motor which will turn it one direction or the other. 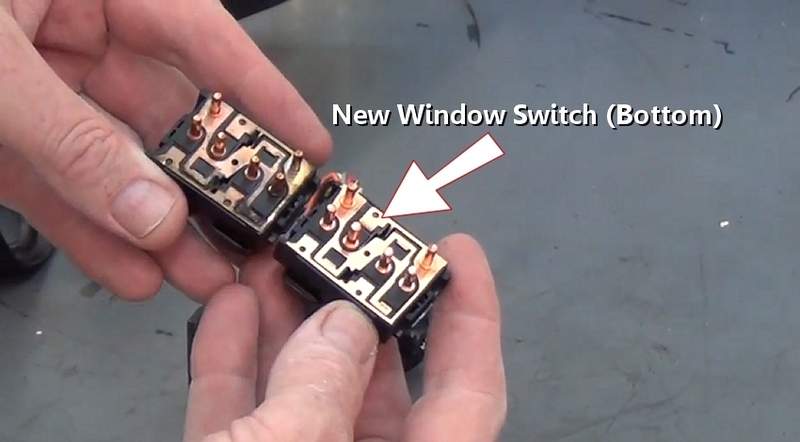 This change is controlled by the switch which utilizes power and ground circuits. These switches can be bypassed by the BCM on some vehicles which are designed with control relays that activate the motor remotely. 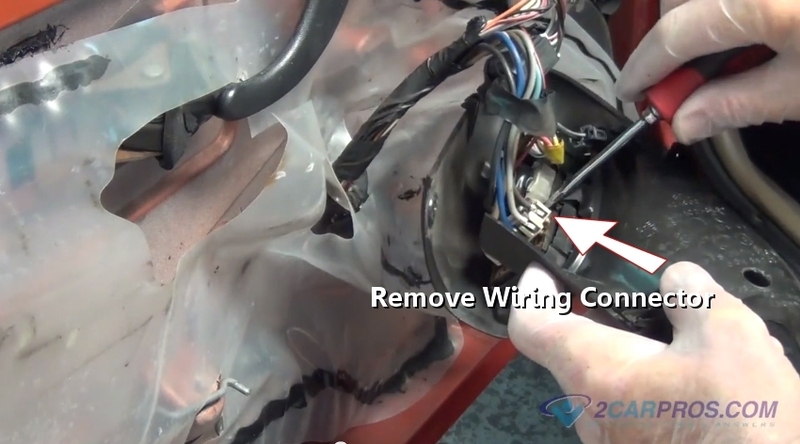 Keep switches clean and free from debris. 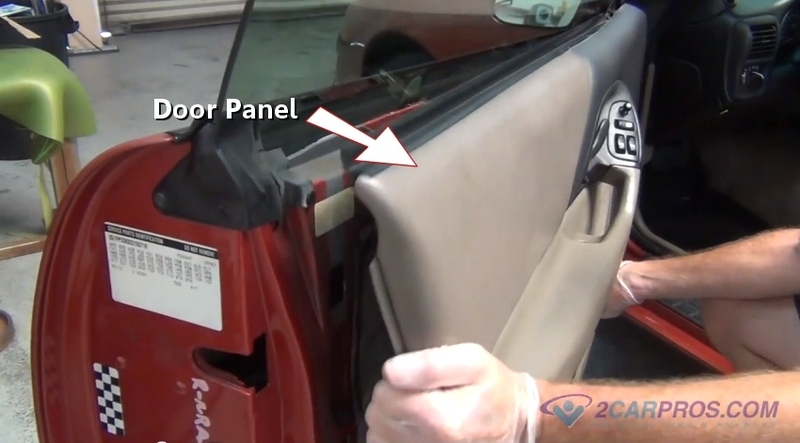 Plastic door panel pieces can be brittle.